Middlebrook Summer Camp is a childhood learning laboratory in an urban San Jose neighborhood that teaches our citizens of tomorrow for a better and healthier planet. 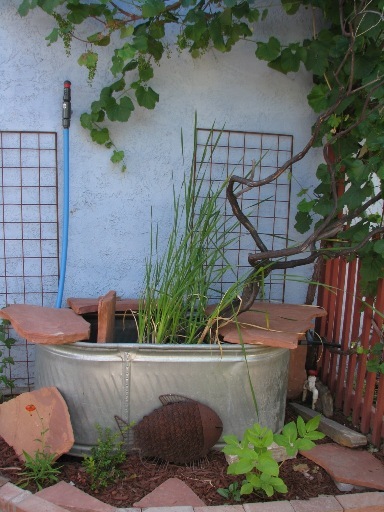 An existing greywater system conveys indoor sink water to a constructed wetland on the outside of the wall. The outdoor kitchen sink, pictured on this page, works similarly, conveying the water from one of its three drains to the fish tank and another drain to nearby plants. ELSEE is sponsored by the California Native Garden Foundation (CNGF). Middlebrook Center: CNGF/ELSEE © 2019. All Rights Reserved.